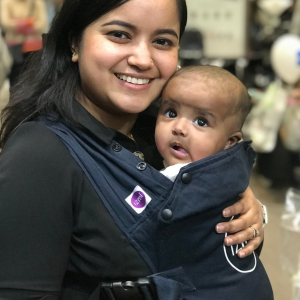 The soft fabric of the Izmi Toddler Breeze Carrier yields to your baby’s shape and size bringing them the very best in comfort. For you, that means lots of ergonomic support without any bulk. The washable material is lightweight and quick drying. 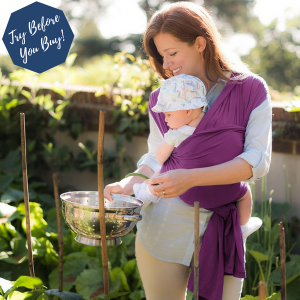 Use the Izmi Toddler Breeze Carrier from nine months onwards. Designed to adjust, fit and modify around your growing baby while still keeping you comfortable. 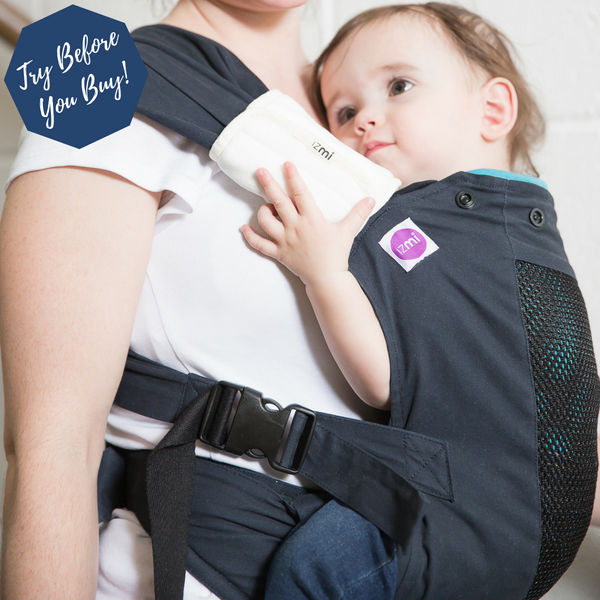 Fully supportive design distributes your baby’s weight evenly to reduce pressure on your back. Hip healthy design keeps babies in the best possible position, from nine months onwards. 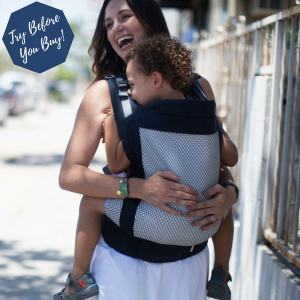 The unique straps spread to fit snugly across shoulders while the head support provides support for your toddler. 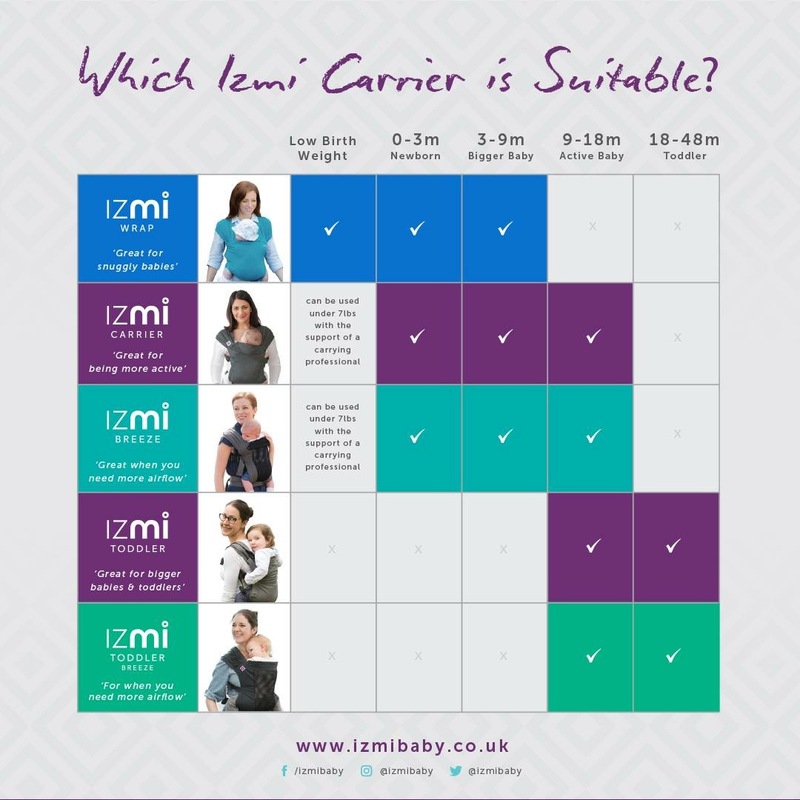 The Izmi Carrier’s adjustable seat ensures comfort and intimacy lasts as the baby grows. Fully adjustable and clever design makes Izmi simple and easy to use from day one. 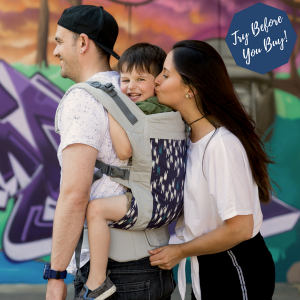 The Izmi Toddler Breeze Carrier allows you to safely and securely carry your baby in three comfortable positions; front carry, side and back, so whatever your situation your little one will always be safe. 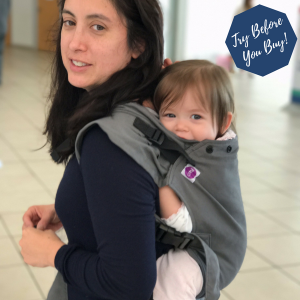 The Izmi Toddler Breeze Carrier is incredibly practical and can be used throughout the day no matter where the day takes you, the carrier is incredibly easy to use and is supplied with a storage bag so it is easy to take on the go. 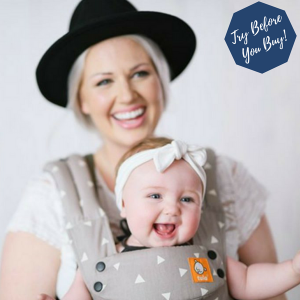 IZMI TODDLER BREEZE CARRIERS ARE NOW AVAILABLE ON A TRY-BEFORE-YOU-BUY BASIS! If you’d like to try one before buying, buy a new Izmi Toddler Breeze Carrier online and try it out. If for any reason you don’t like it, return it within 2 weeks of the purchase date and you will be refunded the purchase price (minus the £15 2-week hire fee and outgoing postage). Just get in touch to let us know you’d like to return it and to request the return address.